The banking reform sees the Treasury refraining from using federal funds to target banks that open accounts for cannabis-related businesses in legal states. One of the most powerful Senate committees on Thursday approved a measure for banking reform that eases restrictions on banks looking to work with cannabis businesses, a major step forward for cannabis professionals and businesses alike. Many of the nation’s banks must eschew doing business with cannabis dispensaries, for fear of running afoul of federal law designating cannabis as a Schedule 1 controlled substance. Even in states where recreational cannabis is legal. Financial institutions could find themselves facing federal charges of money laundering if found to be conducting transactions with cannabis businesses. Because of credit card companies’ hesitance, some cannabis dispensaries have been forced to conduct their transactions entirely in cash. Despite these hardships, this year has brought some good news on the banking front. Increasing numbers of banks and credit unions have signaled an openness to dealing with cannabis growers and dispensaries. With the door to banks already beginning to open, it was the Senate’s action on Thursday that could serve to kick the door wide open. The Senate Appropriations Committee is in the process of crafting the Fiscal Year 2017 Financial Services and General Government Appropriations Act. This is partially responsible for funding the federal government through the next fiscal year. 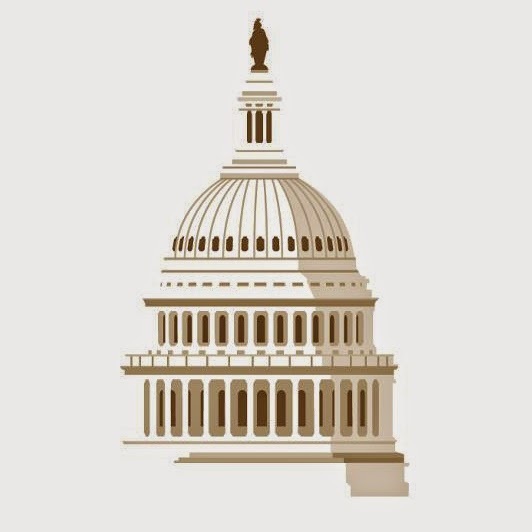 The proposed banking reform amendment stipulates that no federal funds are to be used by the Treasury Department to target banks that open accounts for cannabis-related businesses in states that have already legalized the substance. One of the sponsors of the amendment, Sen. Jeff Merkley (D-Ore.), said during the debate that he found the idea of cannabis businesses dealing only in cash to be a public safety concern. It makes no sense to have bags of cash, and it’s an invitation to organized crime, an invitation to theft, an invitation to tax evasion. The amendment wound up passing on a mostly party-line vote, with three Republicans. Sens. Lisa Murkowski (R-Alaska), Bill Cassidy (La. ), and Steve Daines (Mont.) crossed the aisle to vote with the Democrats. Only one Democrat, Sen. Dianne Feinstein (Calif.), voted against the measure. The amendment now awaits passage by the full Senate before it must also be approved by the House of Representatives. The federal government has sent signals in recent months that it may further loosen laws surrounding its approach to cannabis. In response to a letter written by eight Democratic senators –including Sen. Elizabeth Warren (Mass.) — the DEA signaled in April that it is open to rescheduling cannabis as a Schedule 1 controlled substance by the end of this summer. Among other things, the move would substantially ease the pressuring on financial institutions that look to do business with cannabis businesses. The importance of the issue is not lost on many cannabis-industry players. According to Tyler Henson of the Colorado Cannabis Chamber of Commerce, it is the federal government’s cooperation on the issue that is of paramount importance; until the government relaxes its laws, all bets are off. We’re still a Schedule 1 narcotic at the federal level… We can provide every Band-Aid imaginable at the state level, but until the federal government acts on this, we’re stuck. Do you think the banking reform will see financial institutions provide pathways to working with cannabis businesses? Tell us why on social media or in the comments below.